My focus as a mother supporter, aka doula, is with the needs of the mother. For when we address the needs of the mother we by default address the needs of the baby. So what is in a sling for the mother? Many years ago a history professor made an off the cuff remark that the first human tool could have been a baby sling. This concept places mothers at the heart of innovation. We will never know as fibres perish unlike stone and bone. 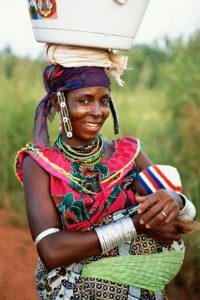 But evidence from cultures which still live a stone age existence find that the baby sling is ubiquitous in the Kalahari and the Sahel, the pan-tropical rainforests, as well as the tundras show that the sling is useful in every climate. We give birth to stone age babies in the 21st century and new mothers compartmentalized in urban apartments, suburban and small town homes while their peers are at work, or their families living a great distance away find themselves wishing they had another pair of hands. A sling for many mothers provides these hands, bringing a sense of autonomy and control of early motherhood that the village used to provide. Slings today can be simple affairs made from recycled cotton t-shirts, to elaborate creations comprised of luxury fair trade and organic fabrics. The need for babies to be carried is genetically encoded which explains why babies sleep best on an adult’s chest. 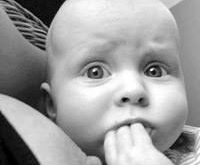 The human skin is the largest organ and through the sense of touch, babies experience their earliest interactions of socialization. Humans are carry mammals; their babies are taken everywhere they go, and human milk, like the milk of other primates, is low in fat which signals the need to breastfeed often in order to sustain growth and well being. In contrast, cache species such as rabbits feed their young a couple times in 24 hours, and their milk correspondingly is very high in fat. When humans lost their body hair, finding an efficient way to travel and forage while keeping their young secure became an important breakthrough. On the African savannah, a baby left unattended a few feet away might disappear forever. The babies who were carried lived to pass on their genes. Your baby’s crying to be picked up is a survival instinct and he cannot take into account that he was born in the digital age. 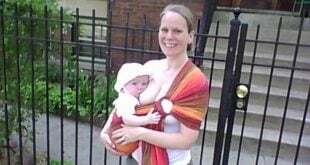 Besides substituting for an extra pair of hands, the baby sling has other advantages for a mother. Core muscle fitness in the abdomen and pelvic areas are notoriously difficult to tone. Starting with a newborn weight and carrying a growing baby provide exercise for core muscle building while keeping a baby content. So while carrying a twenty pound toddler would be quite a chore, starting out with a seven pound baby the year earlier makes toddler carrying more achievable. 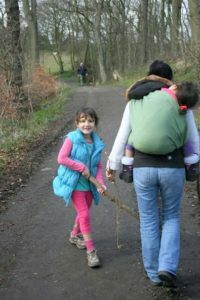 Baby wearing also enhances good walking, sitting, standing and stooping posture. The habit to lean forward while filling the washing machine becomes impractical and dangerous with a baby in a carrier. But kneeling on one knee with a straight back is more practical, safer and also works the core muscles while moving down and then back to standing. For mothers who have suffered pelvic girdle pain through pregnancy, using a sling provides exercise to overcome the effects of this condition, giving them mobility that many find is aggravated by pushing a baby stroller and supermarket carts. Finally, mothers who breastfeed find using a sling helps them to carry on their daily activities more easily. It becomes a simpler arrangement to use public transport or carry a baby all day as she attends appointments, meets friends, or completes home and workplace activities. Even more mundanely, baby wearing makes it easier to maneuver the aisles in department stores, while possibly tracking a second child. Suddenly, the need for the baby to feed every two hours or so becomes more manageable without the baby stroller, the extra baby clothing to keep a baby warm, and the feeding equipment associated with alternative feeding methods. 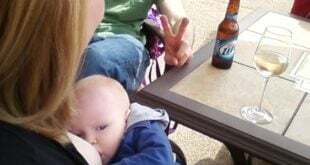 When mothers wear their babies, they create a positive feedback loop: when they use the sling, the sling sustains breastfeeding, and breastfeeding sustains the baby. It’s a ‘win/win’ for both baby and mom. Yolanda Forster is a languages teacher, birth, and breastfeeding worker with Maya heritage. 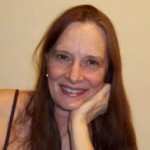 She has a MA in Applied Linguistics with specific interest in language and power. She has two children, ages 8 and 12. You can follow her on Twitter at @ish_chel.